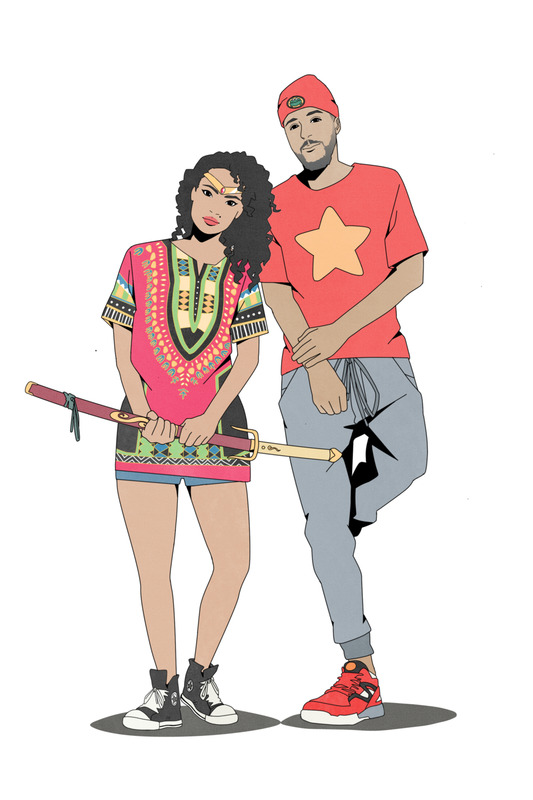 Straight Outta Gotham is a geek x hip-hop culture project produced by Jamila Rowser and Jemar Souza. It started back in 2013 as just a fun Tumblr blog that Jamila created, inspired by M.I.G.’s “Jumpin’ off from on the stage / throwin’ bows like Johnny Cage” line on Crime Mob’s “Knuck If You Buck”. Since then, Jemar became an official Robin-in-Crime and what started off as a small project turned into a much larger endeavor. The duo now curates and produces editorial, art, playlists, and experiences as the premier voice for geeky hip-hop heads. It’s a subculture within subculture. But we out here.